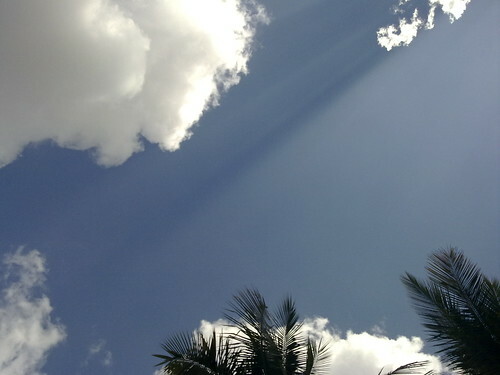 the skies today, originally uploaded by amulya. Look at the shade... the rays of sunlight. a random shot of the white clouds... a beautiful day. a horrible day. a very very beautiful picture. i am gonnu use it on my desktop b/g if you don't mind (if you are not gonna sue me)!